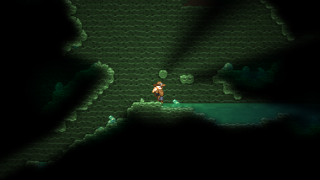 Slime Caves are an underground Mini-Biome type characterized by liquid slime and slime blocks. 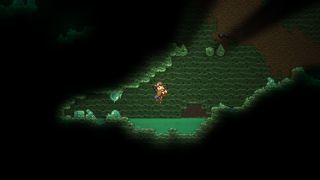 The biome has a chance of appearing in the Deep Underground layer of most planets. 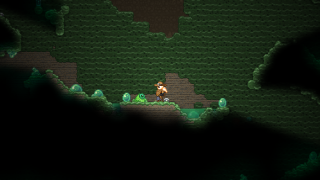 Pockets of Slime Caves biome can be created via use of a Slimy Microformer. 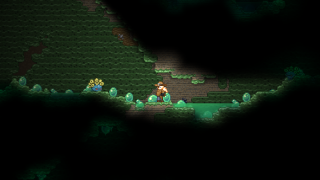 Touching the liquid slime will cause the slime status effect, reducing movement speed and jump height by 80% for 1 second. 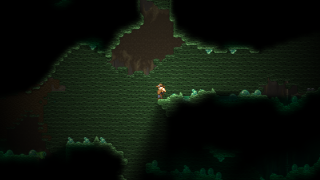 Be careful around the terrain in Slime Caves. Slime blocks will fall to the ground if disturbed, and if you are not careful, you might end up buried under slime blocks (which can be deadly if you do not yet have an EPP). This page was last modified on 14 July 2017, at 15:23.